If you need to find out the status of a corporation, need a certificate of good standing or existence, need to see if UCCs are on file, you've come to the right source!! CLICK HERE to place your order or call us at 1-800-832-1220 if there is something you need from somewhere that is not listed below. We will undertake any request. Current Corporate Status - Is the entity domestic, foreign, active or inactive and why? Dissolved voluntarily or by proclamation? Current or past due with its Biennial Statement? Is a Registered Agent or business location listed? Is the Chairman's name on file? Corporate History - Documents on file at the Department of State. By-laws and Operating Agreements are not filed with the Dept. of State. Also, the name of a director/member/owner of a for-profit business corporation is not required to be made public, therefore may not be available; however if a Biennial Statement has been filed, the Chairman's name and location may be available. 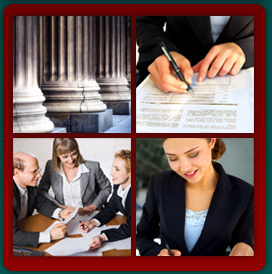 UCC and Federal Tax Lien Searches - On file at the Department of State. Do you want the face pages only or the face pages and any attachments that may be on file? State Tax Lien and Judgment Search - Filed at the county level and can be obtained when doing a search on the county level. Franchise Tax Search - NYS Dept. of Taxation and Finance. Is the entity current with its franchise taxes? This report will not tell you amounts due, if any. It will simply tell you the periods of time for which reports and/or taxes are due.